As police have been investigating Penny Proud's murder, a national conversation about violence and journalistic standards concerning trans victims has been renewed. The New Orleans Police Department's investigation has determined that 21-year-old Penny Proud was likely murdered in the midst of a robbery, reports city news station WSDU. Proud, a 21-year-old black trans woman, was fatally shot multiple times by an unidentified assailant February 10th at 1:30 a.m. on the 1100 Block of North Claiborne Ave., in the Treme district of New Orleans. 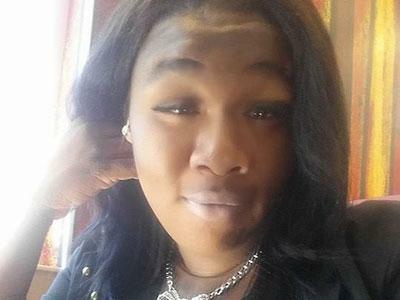 Her death sent shockwaves through her local trans community and through others nationwide, as her case became the fifth reported murder of a transgender woman of color within the first five weeks of 2015. The tragedy has elevated a conversation about how to respectfully refer to trans victims of violence that has increasingly gained a wider audience. Initial local reports misgendered proud, not referring to her with her true name and pronouns. New Orleans LGBT youth of color activist group BreakOUT! took a lead in calling on New Orleans news site NOLA and others to adhere to respectful journalistic standards when reporting on trans people, like those endorsed by the Associated Press and GLAAD. NOLA has defended its practices and continued to misgender proud, according to Media Matters. BreakOUT! has also taken the lead on organizing vigils for Proud and making statements to national media, according to WSDU. Ja'Leah Shavers, a member of the activist group, noted to the news station that trans lives, especially those of women who make up the majority of trans murder victims worldwide, need to play a key part in the ongoing conversations about the #BlackLivesMatter movement. "BreakOUT! ... has taken the steps to make the public aware that black trans lives do matter and that this [homicide rate] is an epidemic we need to address as a community," she explained. Proud's death followed nine days after Taja DeJesus, 36, was found stabbed multiple times in a San Francisco staircase. In addition this year, Yazmine Vash Payne, 33, was fatally stabbed January 31 in a suspected act of domestic violence in her Los Angeles apartment; Ty Underwood, 24, was shot while trying to get away from her alleged boyfriend January 26 in North Tyler, Tx. ; Lamia Beard, 30, died at a Norfolk, Va., hospital after being shot by an unknown assailant; and Papi Edwards, 20, was shot January in Louisville, Ky., by a man arrested two days later. Penny Proud's family and friends have set up a crowdfuding campaign to offset the costs of her funeral. Donations can be made here. Anyone with information about Proud's murder is asked to contact Homicide Detective Robert Barrere at 504-658-5300, or contact Crimestoppers at 504-822-1111 or www.crimestoppersgno.org.